The violin needed a companion. There is a lot of music for violin and piano. For nearly two hundred years it was the most common combination in middle-class music. And in poser there is no limit like in a common parlor. So I took the largest, the grand piano. I wish you a merry christmas again. Made for Poser Pro 2014, redered in Poser - no postwork. Ozuna2012 (3 years ago) Inappropriate? This is GRRRRRRRRRRREAT!! Now all is missing is the Cello player and my character will be a pro too.. Thank you very much for this sharing. savanna (3 years ago) Inappropriate? Kaisoona (4 years ago) Inappropriate? MarciaGomes (4 years ago) Inappropriate? Ivy (4 years ago) Inappropriate? OrishaShango (4 years ago) Inappropriate? Thank you!!! This is what I've been looking for. hypnagogia (4 years ago) Inappropriate? What a wonderful Christmas present - thank you very much! NewTet (4 years ago) Inappropriate? At long last, I have a piano that looks like a piano! Thank you. jopie102 (4 years ago) Inappropriate? 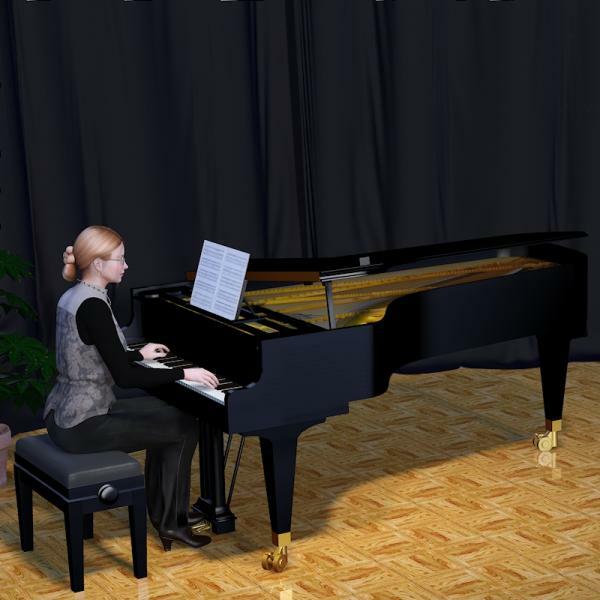 At last, a grand piano properly scaled for Poser. Thank you so much! Rick (4 years ago) Inappropriate? infinity10 (4 years ago) Inappropriate? Wow ! Very nice ! Merry Christmas and thank you. Windigo (4 years ago) Inappropriate? FoolooF (4 years ago) Inappropriate? Kerya (4 years ago) Inappropriate?